This F. Earl Christy painting was created for use as a calendar in 1915 for the American Artworks Company of Coshocton, Ohio. There were twelve different images, one for each month of the year, and each with a beautiful young girl holding a trophy she had won in a competition. The calendar print for this image is titled, "Tennis". 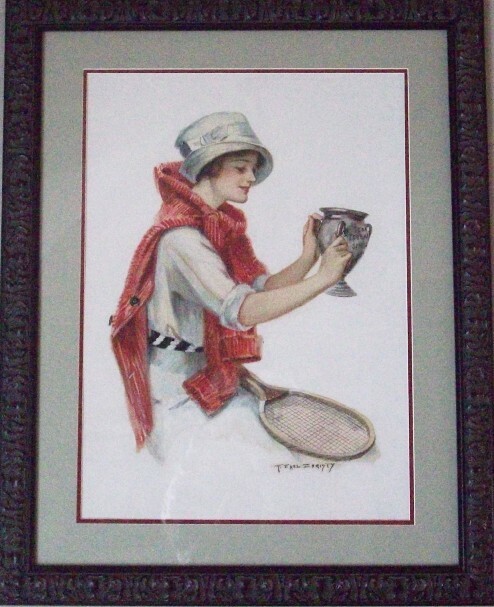 The game of tennis was very popular at that time, and Earl Christy produced several "tennis girls" for calendars and postcards.